Yamim Noraim (Days of Awe) worship services at BEKI are traditional, egalitarian and participatory. All services are led by members. The liturgy is the standard Conservative Ashkenazi Hebrew siddur as represented by Mahzor Lev Shalem and is supplemented with English readings and rabbinic commentary. Doors open 20 minutes before scheduled service times. The building is accessible to those using wheelchairs and with limited mobility by entering through the front main doors on Harrison Street or through the East Entrance from the parking area via a sloped sidewalk or steps. 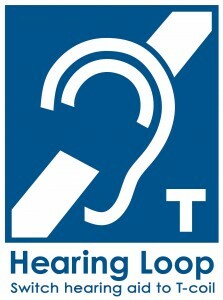 The Sanctuary is equipped with a Hearing Loop. Children’s participation is encouraged in all services and Youth Services are available concurrent to main services. Guests and visitors are most welcome. However, advance arrangements are required. Active-duty military and police personnel, and full-time students, may enter with valid official ID. Children require pre-registration for children’s programs. Adults require tickets or reservations for most services. Members in good standing are sent tickets in advance; members lacking tickets are asked to inquire. Please contact our office 203.389.2108 x14 office@beki.org or download documents for further information. A schedule is presented below. 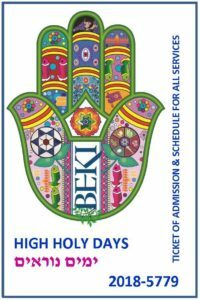 To purchase tickets online, click here, then scroll down to High Holy Days – Tickets.